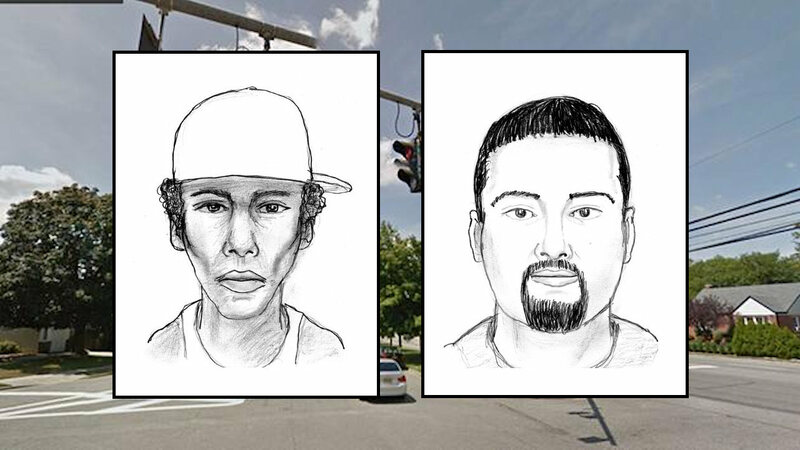 GARDEN CITY PARK, Long Island (WABC) -- Police are investigating a home invasion and robbery on Long Island, and released sketches of the suspects. Nassau County police say a woman walking her dog near her Hillside Drive South home began talking to two men around 8 p.m. Thursday. Authorities say she went home, and while going to her side door to lock it, one of the men came into the house and grabbed her in a bear hug. The other man she had been speaking to allegedly came in through the back door. The two pushed the woman to the floor in a nearby bedroom and threatened to kill her if she looked at them, police said. After a few minutes passed, the house reportedly became silent and the victim called 911. Money had been stolen from an upstairs closet, police said. Police ask anyone with information on the case to call 1-800-244-TIPS.